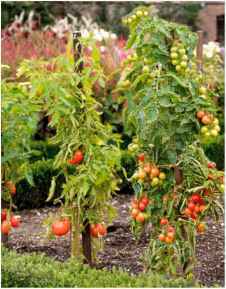 Tomatoes are very adaptable plants and most will grow well in containers, in the ground, as well as under cover. Choose a site where you can appreciate the plants when they come into their full bloom. Growing tomatoes in pots means they are easy to transport, so you can position them where you like. They prefer a warm, sunny, sheltered position where they will have protection from excessive wind and rain. Large plants may become too top-heavy for the pot or exhaust the water and nutrient supply in the soil mix too quickly. The smaller bush or dwarf plants are the best choice because they will not impinge on any seating space. Dwarf plants such as 'Balconi Red' (p44), 'Minibel,' and 'MicroTom' (p43) should crop successfully even in a 6in (15cm) pot. However, for most other plants, it is a case of bigger is better when it comes to pot size. Terracotta pots look attractive but dry out quickly, alternatively use glazed (or plastic) pots. Cherry tomatoes cascading from a hanging basket can be very decorative, as well as productive. Bush plants, such as 'Tumbler' (p36) and 'Tumbling Tom Red' (p49), are easiest to use: they do not need to be pinched off, and naturally trail. Hanging baskets can dry out very quickly, particularly in warm breezes, and may need watering several times a day. Line the basket with perforated black plastic, use a basket with an integral water reservoir, or put a handful of ice cubes to melt into the basket each morning. Alternatively, why not grow your tomatoes in a plastic planting pouch? Plant a dwarf, bush, or trailing tomato plant into these soil-filled plastic pouches, hang from the center of a greenhouse or a tree, and watch the colorful cascade emerge. These sealed plastic bags provide a very popular and fairly cheap method of growing tomatoes, particularly cordon plants such as 'Ailsa Craig' (p32) or 'Gardener's Delight' (p42). They are filled with a proprietary growing medium, usually based on fertilized peat or a peat substitute, but you could try using ordinary bags of soil mix. Many, however, contain just 9 gallons (35 liters) of mix and are very shallow, giving little space for healthy root growth. They can be quite tricky to keep evenly watered, and regular feeding is essential. You could stand bottomless pots on top of the growing bag and fill these with soil mix so that the plant can root to a greater depth (this is called ring culture). Lean on me Cordon plants need a sturdy support, such as a single stake. You could use horizontal training wires on a warm wall. the vegetable garden, or perhaps on an allotment or in a field. Good crops can result from plants in any of these situations. 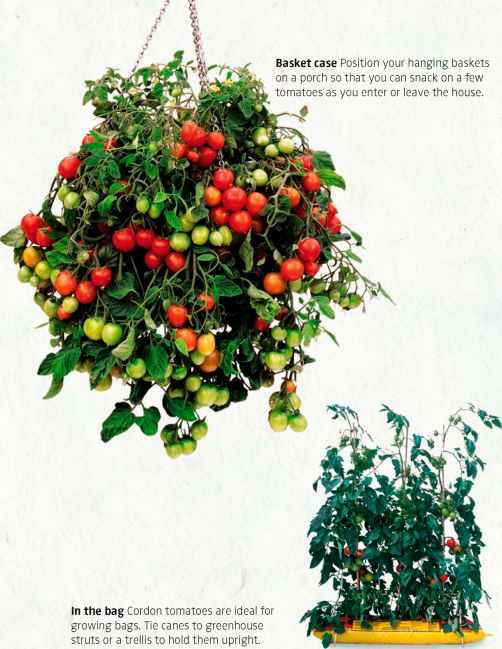 It is, however, important to consider choosing plants that are more resistant to pests and diseases (pp114-119); tomato blight in particular can be a problem with outdoor crops. Some outdoor bush tomatoes may be allowed to sprawl over the ground, but this makes them vulnerable to pests, such as slugs, and to rotting. 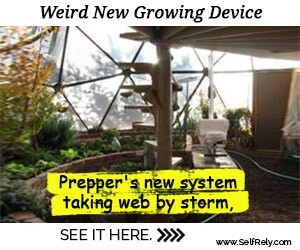 Support them with canes and twine or proprietary support systems. Originating in France, potagers are kitchen gardens of fruit and vegetables laid out in decorative patterns, often with geometric beds edged with low box hedges. They usually include flowers and herbs, which are planted among the vegetables to encourage pollinating insects, and for decorative effect. 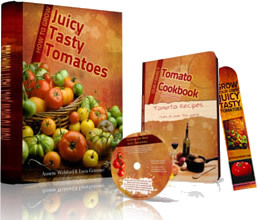 Tomato plants, with their vines of colorful fruits, are great for such gardens. While bush plants tend to be the most popular for outdoor use, they usually produce all their fruits at once, which is not ideal if you want the potager to look decorative for a long season. It may be better to grow cordon plants trained to sturdy stakes. To maximize visual appeal, train the vines up cast-iron obelisks or over garden arches so that the trusses of ripening tomatoes can hang down and catch the light. 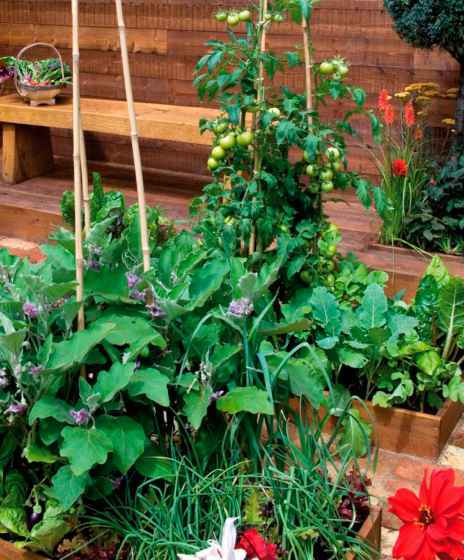 Outdoor kitchen Growing tomatoes with other plants makes an attractive display. 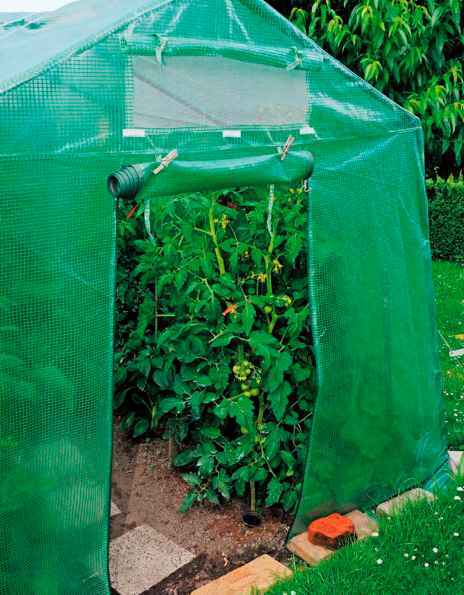 Growing tomatoes under cover is especially beneficial in climates that have cool, wet summers since it extends the season over which they bear fruit and offers protection from diseases, especially the fungal disease late blight (pp114-119). However, some pests such as whitefly also enjoy life under cover and can be more of a problem in a greenhouse than outdoors. of air than a greenhouse, so a polytunnel stays warmer for longer. Plastic films usually contain ultraviolet light inhibitors and also reduce risk of mildew, rot, and insect attack. 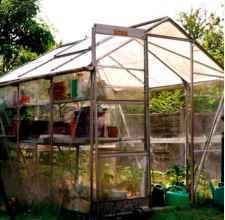 An unheated greenhouse or polytunnel does not give frost protection in temperate regions, but extends the season. Tomato plants will crop all year round with supplementary heating. The limiting factor for plant growth in winter is often lack of light. Orientate the greenhouse east to west to increase light transmission, and clean the glass: clear panes let through nearly 50 percent more light than dirty ones. You can plant tomatoes directly in soil beds in the greenhouse to give them a greater rooting area. However, growing them in the same beds every year exposes the plants to many soil-borne pests and diseases. 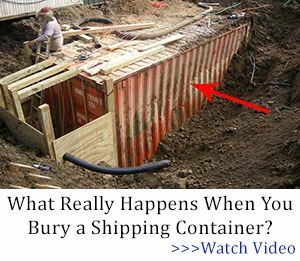 Use growing bags or containers to avoid this. Poor ventilation can lead to very high temperatures on sunny days as well as inadequate air flow, causing high humidity, which may encourage fungal diseases. Automatic window openers and vents are worth investing in. Apply shading to the glass in summer. On hot days, water the floor of the greenhouse to cool the air, but without wetting the tomato foliage. Window cleaning Keep the glass of your greenhouse clean to allow maximum light transmission to your plants. How warm should it be for tomatoes in greenhouse? 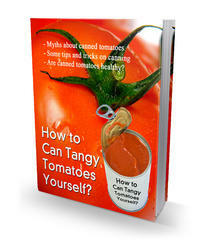 Are favorita tomatoes cordon or bush? How to grow tomatoes plants in pots? How to grow tumbler tomatoes in pots?